A bagel is a round bread made of simple, elegant ingredients: high-gluten flour, salt, water, yeast and malt. 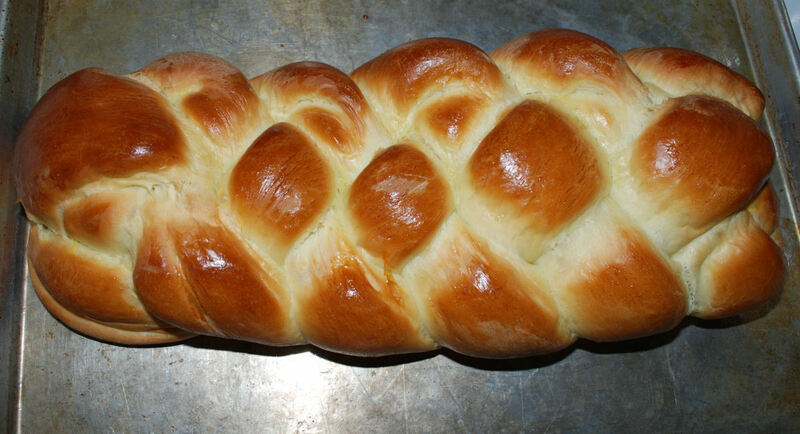 Its dough is boiled, then baked, and the result should be a rich caramel color; it should not be pale and blond. A bagel should weigh four ounces or less and should make a slight cracking sound when you bite into it instead of a whoosh. A bagel should be eaten warm and, ideally, should be no more than four or five hours old when consumed. All else is not a bagel. The Italians (in Puglia) had their tarallini, in Sweden the krackebrod, and according to Joan Nathan of Slate.com, there is even the depiction of a bagel-shaped bread in an Egyptian hieroglyph at the Louvre, Paris. And in Poland, there was the bagel. The first printed mention of the word bagel is in the "Community Regulations of Cracow" for 1610 which stated that the item was a gift to women in childbirth. ...I was in labor for 5 hours with no drugs and gave birth to a 9-pound infant with a huge head. And all I get is a bagel? OK, never mind. This isn't about me. It's about the bread, but I'm sure Mr. Rosten is kidding, right? Maria Balinska works for the BBC in London. And she, born in Poland and half-Jewish, is the author of The Bagel: The Surprising History of a Modest Bread. In that book, she shares the tale of a Viennese baker who created the round bread with a hole in the middle. He made it to mimic the stirrups of Polish King Jan III Sobieski who attained victory over the Turks in the 1683 Battle of Vienna. Why Is the Bagel So Popular? More than 300 years later the bagel is no longer revered as a symbol of victory over Turkish influence. It's bigger than that. The bagel has endured not because of legend, but because of it's flavor, texture, and ability to stay fresh while other breads have spoiled. Even when a bagel gets stale, a brief dunk in a hot beverage (my strong cup of morning coffee) will render it soft once again. And It's About the "Chew"
But what exactly is it that makes a bagel a bagel? Yes, it's a bread made with yeast, it's round, and there's a hole in the middle. But isn't that the description of a doughnut? There's something else that separates bagels from every other yeast-risen bread, and that is the chew, how it feels on and between your teeth when you bite into it. So, how is that done? There are two actions (or reactions) that make a bagel truly a bagel. One is "fermentation" and the other is "relaxation." Purists will tell you that the dough for a true bagel must proof for a day before baking, and they're right. Yes you can prepare the dough, shape, and bake in one day, but the end product will not have the yeasty flavor of dough that has been allowed to chill overnight. This is the fermentation part. And then there is the boiling or simmering—think of it as relaxation—a sauna for your bagel. 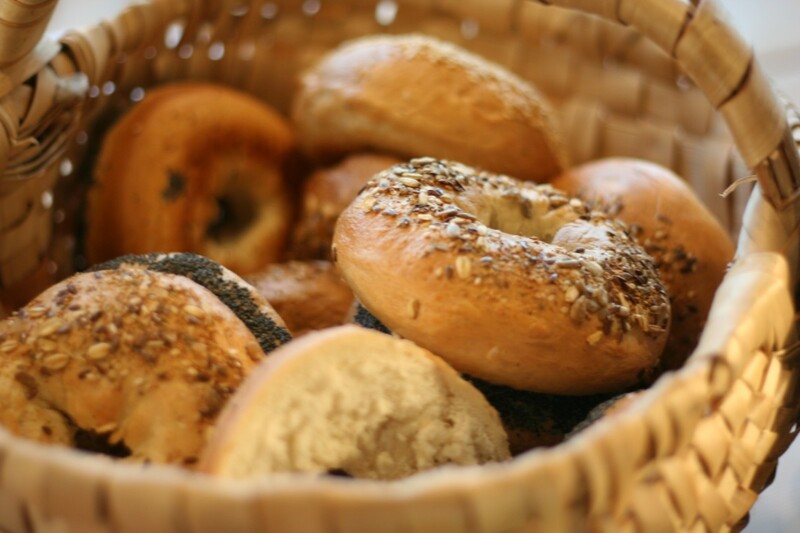 Boiling, not misting with water, not baking with a steaming pan of water, but actually placing in simmering water prior to baking is what gives bagels their sheen and their crunchy, chewy exteriors. But these two techniques alone do not make a bagel. The ingredients are also a part of the equation; the whole truly is greater than the sum of the parts. There are some foods that are amazing in their complexity—the layering of flavors and textures, the unique blends of herbs and spices. I'm thinking of French cassoulet, rich Italian bolognese, perhaps a Latin American mole sauce. All of them are bold and elaborate, employ a lengthy list of ingredients, and require long hours of cooking. Each of them, when made correctly, is outstanding, memorable, Heavenly. And then there is the bagel . . . so exquisite in its pure simplicity. Flour, water, salt, yeast, sugar. Flour is the foundation for a good bagel, and a key component of that foundation is protein (otherwise known as gluten). Despite what you might think, gluten is not a poisonous substance. It is a nutrient, a basic part of many of our foods. When viewed under a microscope, protein looks like a spider web; it is that “web” that traps carbon dioxide bubbles. The other important part of flour is starch. When heated, starch becomes firm and supports the protein webs. 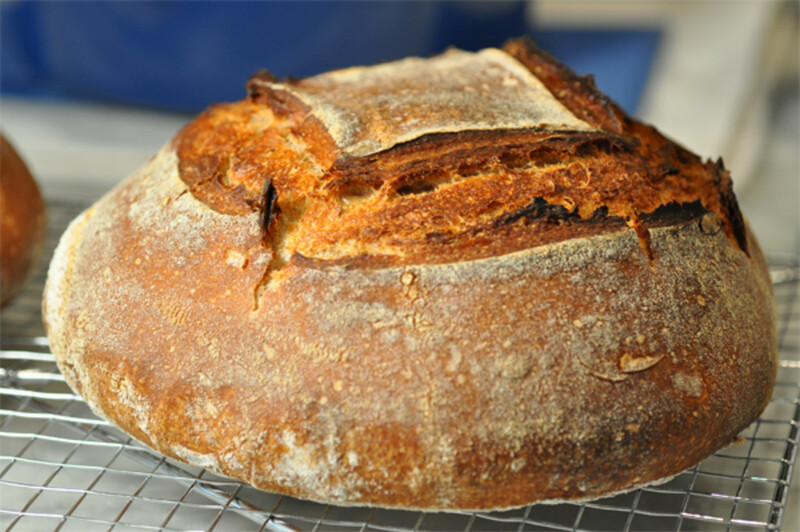 Bake shops use high-protein flour which you won’t be able to replicate exactly at home, but unbleached bread flour will get you pretty darned close. I am comfortable in recommending King Arthur or Bob’s Red Mill bread flours. 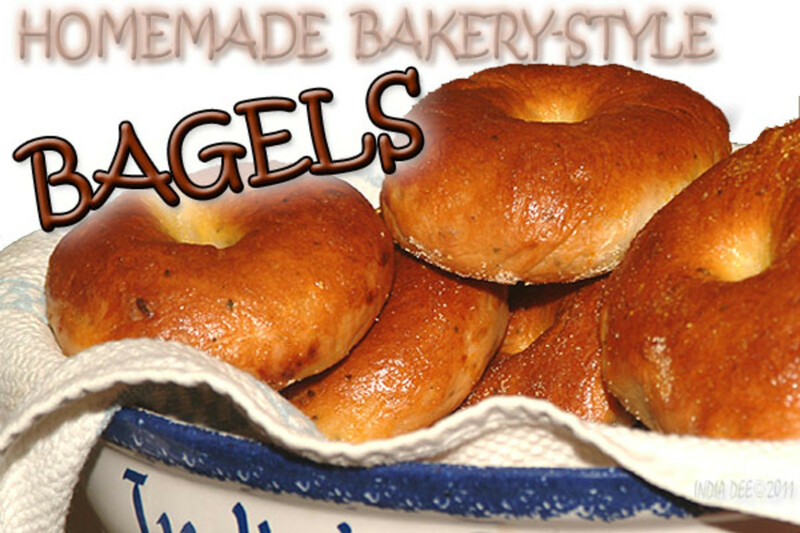 Bagel dough has a lower percentage of water than other yeast breads, resulting in a dough that is stiff and sturdy. When you see how they are shaped you’ll understand why this is so important. Stay tuned! Yeast. Here’s the really cool part—did you know that yeast is a living thing? 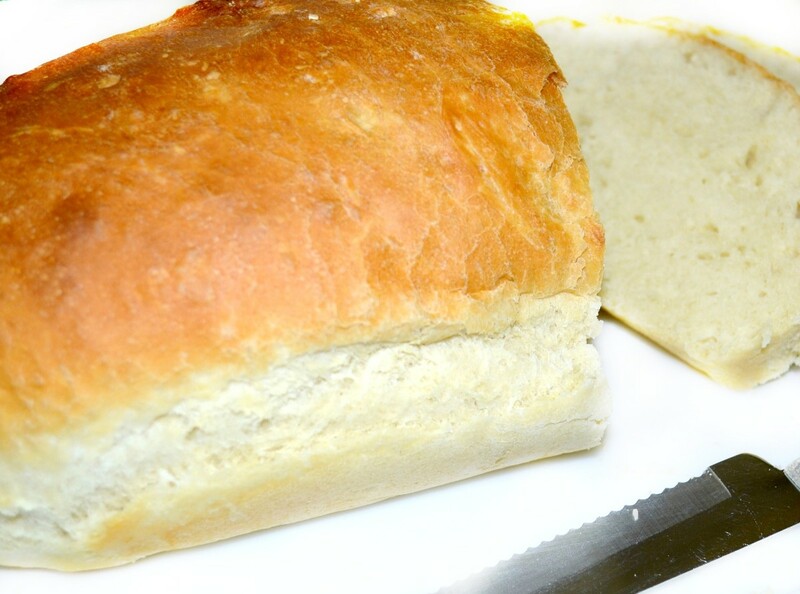 Enzymes in the yeast, when mixed with water, break down the starch molecules, converting them to simple sugars. And why? Yeast eats sugar. Sugar goes in, is digested by the yeast microbe, and then carbon dioxide is formed. It’s that gas, trapped in the webs, that makes your dough rise. Barley malt syrup – You can certainly purchase this on Amazon, or if you are lucky enough to live near a shop that sells beer-making supplies (or better yet have a friend who makes his or her own brew) you can obtain it there. Organic honey – available in gourmet grocery stores and many/most large grocery stores. So now that we know of the technique and understand how the ingredients work together, let's start making bagels! (Adapted from article which appeared on Epicurious.com August 2011). 1. Combine barley malt syrup, yeast, kosher salt, and water in large mixing bowl. 3. Let dough rest 5 minutes. 4. Resume mixing with dough hook 10 minutes more, or turn dough out onto well-floured surface and knead 10 minutes or until dough is smooth and satiny. It should feel slightly tacky but not sticky. 5. Pour a small amount of oil (about 1 1/2 teaspoons) in large clean bowl. 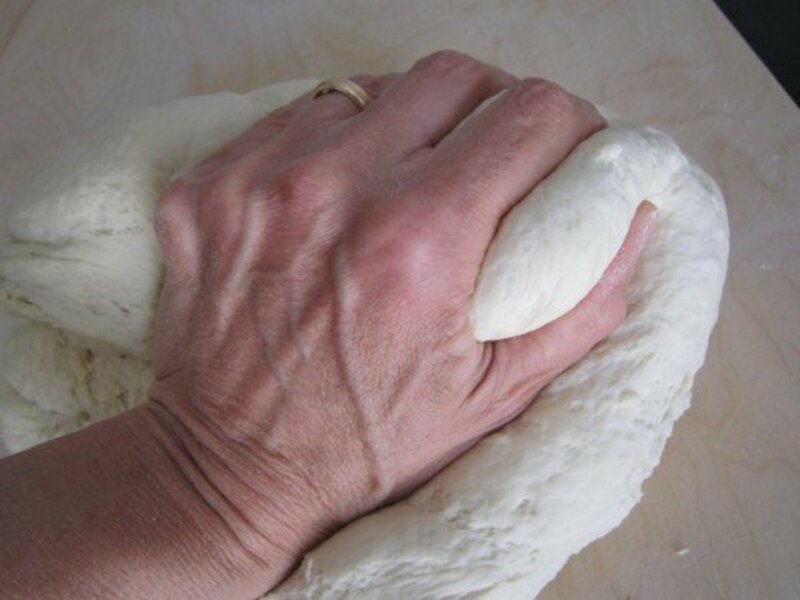 Place the kneaded (processed) dough in the bowl; turn it over so that it is lightly oiled on all sides. Cover the bowl with plastic wrap and set in warm, draft-free place to proof. The dough should double in size; this will take about one hour. 6. Line the baking sheet with silicone mat or parchment paper. Lightly mist with non-stick cooking spray. 7. 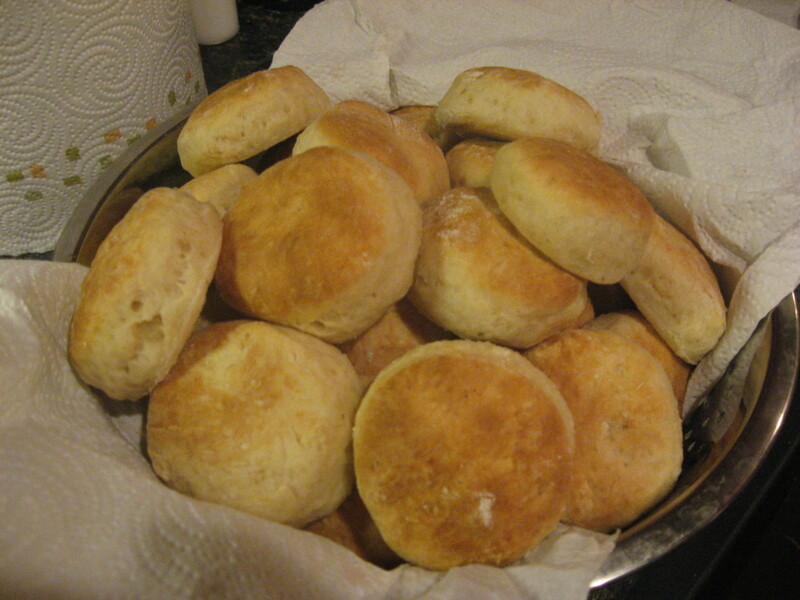 Divide the dough into 6 equal-sized pieces. One at a time roll each one on a clean (not floured) work surface to form a smooth, round ball. Place each ball of dough on prepared baking sheet. Mist with non-stick cooking spray; cover with plastic wrap and let rest for 10 minutes. 8. After their 10-minute siesta, it's time to shape something that looks like a bagel. 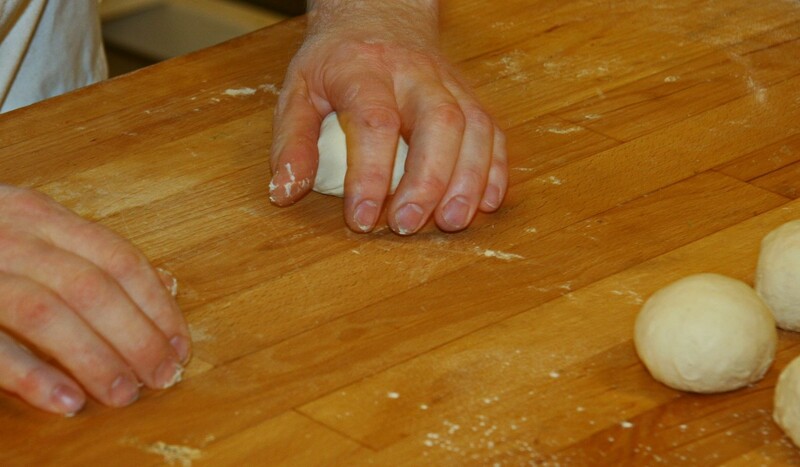 Take one ball of dough and push your thumb through the center. Use your fingers to coax the opening larger and larger until the hole is about 2-inches in diameter. 9. Place a clean piece of parchment paper on your baking sheet and coat it generously with non-stick cooking spray. As each bagel is formed, return it to the prepared baking sheet. 10. Allow the shaped bagels to rest again, about 20 minutes in a warm draft-free spot. 11. Spray the top of the bagels lightly with the cooking spray, cover with plastic wrap, and store in the refrigerator overnight. This allows the yeasty flavor to develop. 12. Remove the bagels 60 to 90 minutes before you plan to bake them. 13. Thirty minutes before baking preheat oven to 500 degrees F.
14. Place the ingredients for the simmering liquid in the stockpot and bring to a boil over high heat. When the water reaches the boiling point turn the heat down to maintain a steady simmer. You don’t want the water to be boiling vigorously. 15. Gently place 2 or 3 of the bagels (depending upon the size of your stockpot—you don't want to crowd the bagels) in the simmering water bath and cook, turning once, 45 seconds per side. Return the simmered bagels to the prepared baking sheet. Repeat with the remaining uncooked bagels. 16. Place the pan of bagels into the preheated oven and immediately turn the heat down to 450 degrees F. Bake 15-20 minutes or until golden brown. Cool at least 15 minutes before serving. 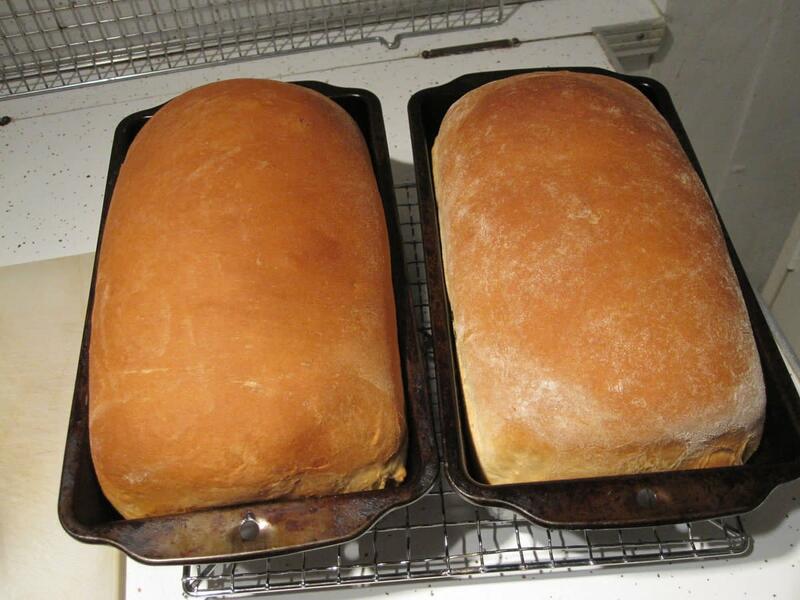 Mary, the only different between all-purpose flour and bread-flour is the amount of gluten. If you want to make an adjustment you could add one teaspoon of "vital wheat gluten" for each cup of flour. I hope you can find that in a health-food store. If not, you can still proceed with your regular all-purpose flour. I'm not sure how much difference there will be. Well if I want bagels, I'll have to make them as I have not seen a bagel in my part of Brazil. However, I haven't seen bread flour either, although I have had good results with other bread recipes using all-purpose flour. When it isn't crazy busy here, I will give these a try. I make my own tortillas so why not add bagels to my repertoire. Ryan - You're a pretty smart guy. I'll bet you can do this. And with these instructions it's like I'm right there cheering you on. Go Ryan!! Audrey - I don't know why not. Isn't everything better with chocolate? Thanks for this recipe for bagels. I'm ready to give it a try. I'd like to add a few chocolate chips - is this ok? A lot of work goes into making these delicious beagles I see. I am not one for baking, but this is something I could maybe try. I am not the biggest fan of beagles, but I have grown to love the cinnamon raisin beagles. I like to toast them and put peanut butter on them. Now I want a beagle. Thank you for sharing this recipe. Eric, the important thing is to be able to have the water deep enough. Do you have a tall saucepan or a dutch oven that can go on the stovetop? If the pan is small you might have to boil just one bagel at a time. Silly me, of course you said stock pot. But the question remains; can you do this without one? And what could you use? Ohmygoodness Bill, what am I going to do with you! Maybe the problem is that you've never had a homemade bagel fresh from the oven. But it's not gonna happen soon. Like you said, the heat is fast approaching, so isn't a good time to be cranking up the oven to 500. Stay cool my friend. I think it's amazing, Linda, how many food items you write about that I don't, or won't, eat. Remarkable, really, and it speaks volumes about my stunted development. LOL Have a great weekend. The heat is approaching with a vengeance, so stay cool. Flourish - I wonder if the Seattle "best bagels" were at Pike Place Market? Anyhow, I'm thinking that I really should add something to this hub about adding toppings or folding in spices (like cinnamon)? Do I need to do that, or are our Hubbers creative enough to figure that out? Hmmm. Oh wow! Some of the best bagels I have had were in Seattle and NY. 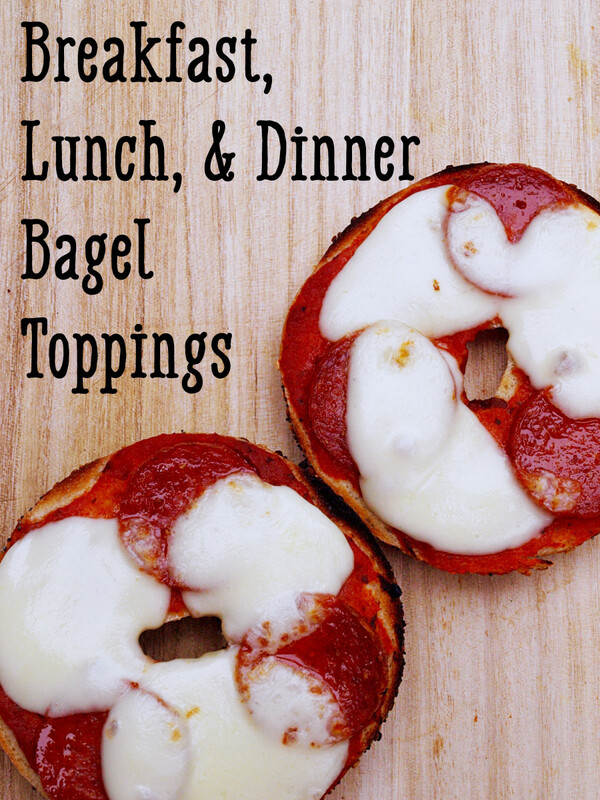 I love bagels but have never made them. My favorite type is cinnamon bagel with honey walnut cream cheese. Now I am totally hungry! Eric, you don't need (or want) a crock pot for this recipe. What you want is a stockpot. Perhaps another word for this is a soup pot. Anyhow, it's a large pot in which you can simmer soups, stews, or (if need be) bagels. And YES, it is totally a stove-top thing. If I did not make that clear in my directions, perhaps I need to make some adjustments. My Mr. Carb has wanted us to do the Grand Canyon hike. He did it while in college, but I fear this feeble old arthritic body couldn't do it anymore. Even the burro ride is not enough. Should I mention, perhaps, that you can add toppings prior to baking, or is that merely gilding the lily? Wow was this interesting. Really cool to read. Maybe I will do it. I do not have a crock pot. (so sue me) can I use just stove top for that part? It all sounds a bit too easy. Just so you know; when we hike miles down into the Grand Canyon in 100+ degrees, bagels are the bread of choice. They are just so much better at non-refrigerator extreme temperatures than any other bread and they provide the protein, fat and carbs that are needed.